Whether you’re technical SEO guru with a wealth of HTML knowledge or front-end content strategist, all calibers of search marketers can leverage Schema markup for SEO. Before you dive into Schema.org and try implementing these unique scripts, it’s wise to learn a few things about what it Schema markup entails. Even though it is advisable to learn some HTML coding first, most tech-savvy end users can do a lot once the basics are learned. Schema markup was developed by Google, Yahoo, and Bing in 2011, and is now the suggested method to structure content in such a way that it’s best interpreted by search engines. First and foremost, it is important to note that Schema.org is not a protocol, nor is it a specific markup language. There a certain categories (or “organizations“) of Schema that are best applied to specific SEO strategies (e.g. local SEO, ecommerce SEO, etc.) In addition to SEO, Schema can also help supplement a content strategy. Below break-down some of the most common and powerful applications of Schema markup. Perhaps the most powerful way to gain a competitive edge with in local business context is via Local Business Schema markup. Here can define essential local information that contains incredible search engine value, like name, address, phone number, geographic coordinates, and description of the business. At the Web Presence Group, we have seen many of our local SEO clients’ rankings increase just days after implementing the most basic Local Business Schema markup. To view all of the various Local Business items in which you can markup, visit Schema.org/LocalBusiness. 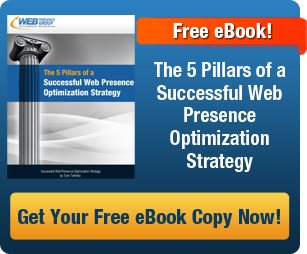 There are three primary Schema organizations that are clutch for ecommerce SEO. These are Product, Organization, and Review. Ideal for ecommerce product pages, Product markup enables you define elements like the product’s name, brand, description, images, etc. Organization markup is intended for more general content about the ecommerce stores. Here you can define elements like the online store’s name, description, address, and other information of value. If you ever wonder why some product search listings show start rating rich snippets, this is why. Not only can Schema help improve ecommerce SEO rankings, but also make search listings much more eye-grabbing. A good starting place to find markup items for content is Schema.org/CreativeWork. Here you can find schemas for audio, video, and text, as well as creator, author, and editor. In essence, you can spend a couple hours exploring new schemas and implementing them in your content. If you have the time, we encourage you to do it. It will only empower your content’s value, for both inbound marketing and SEO. If you’re new to Schema and want to learn the basics, Schema.org offers documentation and tutorials on how to get started. And if you’re serious about SEO, than you need to take Schema markup serious and learn how to use it for your SEO clients.